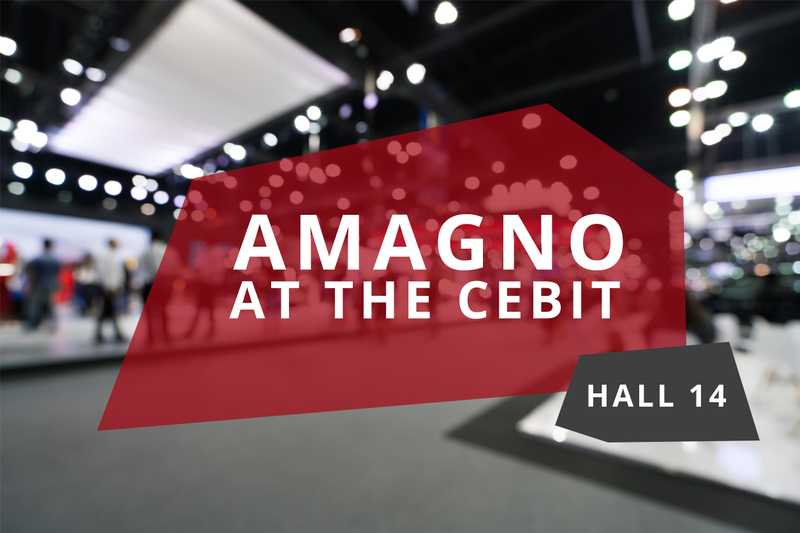 The German software producer for enterprise content management AMAGNO will present its revolutionary AMAGNO Living Documents™ Technology at CEBIT 2018, in Hall 14 (Stand H20). AMAGNO wants to completely redefine the whole digital document experience and free companies from their “analogue” office environment. The biggest challenge of digitalization is the fear that employees have when it comes to moving on from their current ways of working. Company team members can benefit enormously from digitalisation, whereas their current ways of working cannot handle the new digital and data-heavy environment. Every day in offices all over the world, an ever-increasing number of inaccessible files in network drives, impenetrable piles of paper and isolated email accounts cause huge losses and waste in company productivity and time. Companies are not working in accordance to corporate compliance regulations, and are even breaking the law, like for example when it comes to the new GDPR. AMAGNO does away with these fears and corporate black holes, with its Enterprise Content Management (ECM) Digital Workplace software. “The biggest effect of the digitalisation for knowledge workers in offices all over the world is being able to access valuable information in their documents, scanned files and emails in a matter of seconds. All documents are processed automatically in a legally compliant environment instead of being manually stored. We empower people through digitalisation to focus on their talents and unlock their potential: this is exactly where the benefits lie, despite people’s fear of “change”. This is where our approach comes in: Digital documents must be so exciting that everyone should love working with them, instead of just having to“, says Jens Büscher, founder and CEO of AMAGNO. Companies can import their network drives, scan paper documents and files, and merge all their relevant emails. AMAGNO processes the digital documents and presents them in a user-friendly large-format preview, whilst ensuring full-text recognition of each page. All documents including every single word in the text can be found immediately without any further processing by the user. AMAGNO can search for a keyword in millions of files in a matter of seconds. By using a Hot Key combination, you can even launch a search directly from other applications, such as your mail app or financial accounting software. AMAGNO displays your documents on-screen in large format. Any terms that are found are highlighted in the previews. Users can label or work on the digital documents in the same way as before, e.g., using notes or digital handwritten annotations via touchscreen displays. Digital documents can be even more interactive and flexible as their old-school, analogue equivalents! What makes AMAGNO Living Documents™ Technology special is its additional interactivity. By simply clicking or touching any of the terms in the previews, you can immediately find and display further matching documents. Just click on an order number, a file number or a name and all relevant documents will be pulled up: regardless whether they are documents, scanned files, or emails. Users can also highlight any terms or entire text passages and they will automatically be copied to the Windows clipboard for further use, such as email addresses or IBANs. This level of interactivity has a proven impact on team member enthusiasm and productivity, helping to reduce their fears quickly. The AMAGNO Digital Workplace is an Enterprise Content Management (ECM) and Digital Document Management (DMS) solution for managing content in medium-sized companies. AMAGNO includes technologies for digital collaboration, versioning, archiving and workflow (BPM). Customers can choose between the In-House / On-Premise installation and operation, or as part of our Business Cloud in certified data-centres based in Germany. AMAGNO is an all-in-one solution instead of “module chaos,” it can be implemented very quickly and can be managed by the customer on their own. The RESTful API allows two-way communication in service-oriented application environments with interfaces for financial accounting, merchandise management systems or specialist applications. Timo ist bei AMAGNO im Marketing tätig. Er betreut die Online- und Offlinemedien in Konzeption und Design.